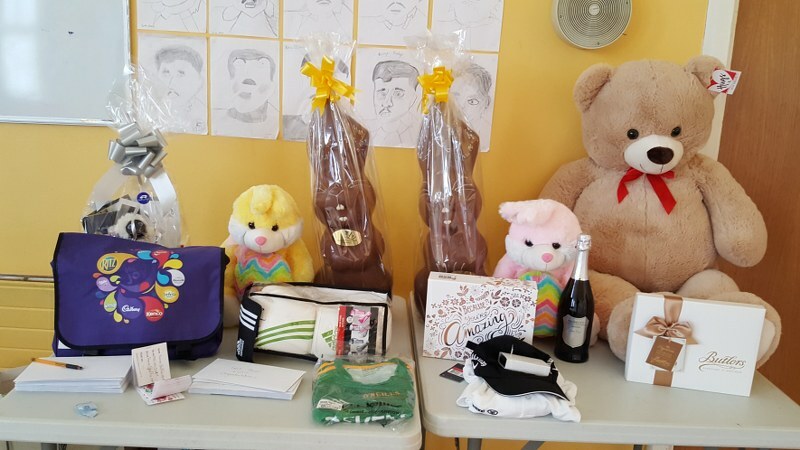 There was a great buzz of excitement in the school hall today for the Parent Association Easter Raffle. 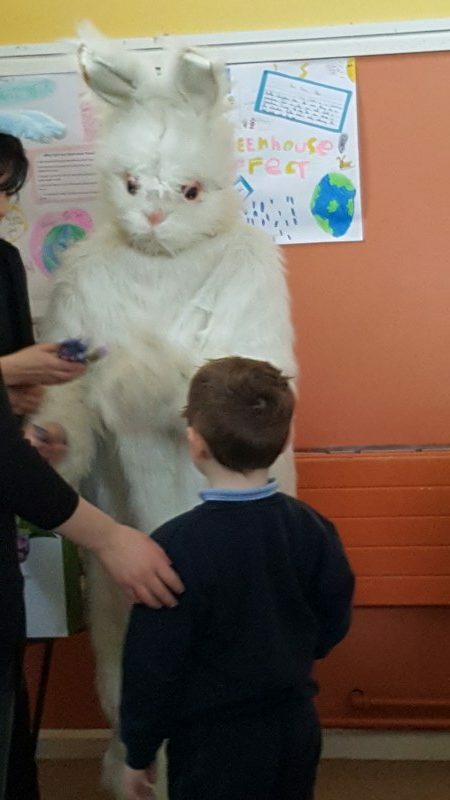 A special guest, the Easter Bunny, also arrived to help with proceedings. 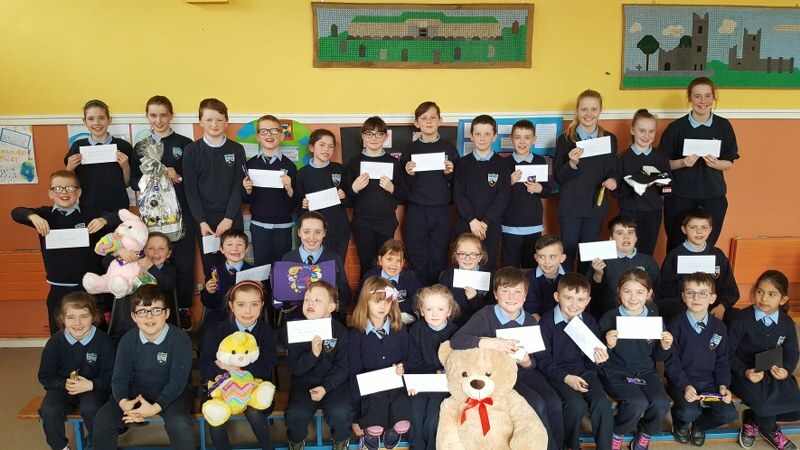 Many thanks to our Parent Association for all their work to put the draw together and to all the sponsors who donated prizes. The winners were picked out by pupils in the school and are listed below. Over €7,600 was raised. We hope to resurface the school hall this summer in time for September 2018! Draw Prizes – Tom Logan, Gavin O’Brien, Cassandra Bond, Sandra Williamson, Halle Ball, Matt Brady, Andy, Mc Guinniety, Dave Reilly, Donal Finegan, Rosetta Herr, Maeve Quinn, Eamon Harding, Sam Mahon, Karoliny Santana and Chloe Gallagher. 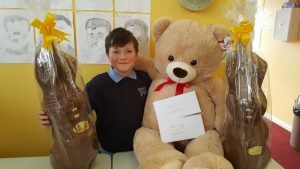 Sponsors – Bank of Ireland, Beko, Cadbury’s, Fortlucan, Kilmainham Gaol, Navan Adventure Sports, Ladyrath Lane, Conyngham Arms, Borzalinos Restaurant, Oldbridge Battle of the Boyne, Boyne Valley Hotel & Country Club, W5, Bellewstown Racecourse, The Handmade Soap Company, Abbey Theatre Coast Adventure, O’Neills, Navan Town Centre, Croke Park Stadium, The Little Museum, Drogheda Leisureplex , Fairyhouse Racecourse, Boyne Valley Foods, Red Mountain Open Farm, Newbridge House & Farm, Solstice Arts Centre, EPIC Emmigration Museum, Wax Museum, Glasnevin Trust, House of Paul, Equipet, Butlers, National Aquatic Centre.